See our current summer holiday offers at Lake Balaton. Many different options for families, youngsters and elderly people. Lake Balaton is one of Hungary’s hottest tourist destinations. Thanks to the development in recent years it is not only the sun and warm water of the lake, but also a variety of programs that attract tourists from all over the world. Everyone can find the way of relaxing that suits his temperament and interest best. Our office gives a helping hand for people with handicap in spending their one of the most pleasant holidays without barriers at the “Hungarian Sea”. 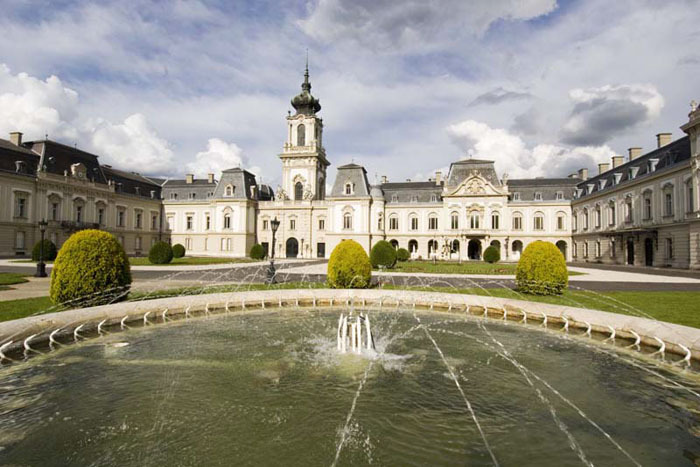 The area of Lake Balaton gives place for more historical wine regions. 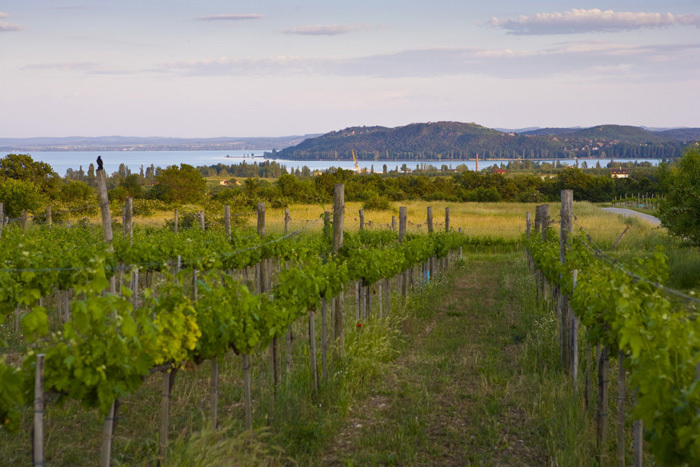 To the southern slopes of the mountains-which are partly volcanic and lying north of Balaton- the huge surface of the lake reflects the rays of the sun, making it ideal for wine-growing. The area is mainly featured by the smaller, family-run wineries which welcome the tourists passing by for a wine tasting with snacks. The region is primarily known for its white wines, but it is worth tasting the red and rosé varieties, too. 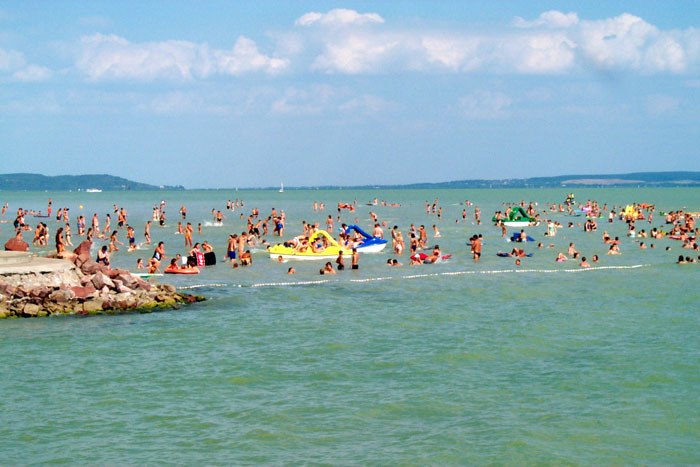 In recent years Hungarian tourists rediscovered Lake Balaton. This is mainly due to the increasing number of sports activities young people can choose from. Bike path was built around the lake, a row of yacht clubs were opened, but you can also find summer bobsled track, wakeboard course, forest adventure course which challenge sports lovers. A sports association operates in Balatonfüred which organizes sports activities for disabled people. You can try hand-bike, tennis, kayaking or other ball sports in the nearby holiday resort and sailing. Those who haven’t been at Lake Balaton for the past ten years would be surprised how much novelty and development happened in the towns around the lake. Today it is not only the soft and pleasantly warm water of the lake that attracts tourists, but many other programs as well. 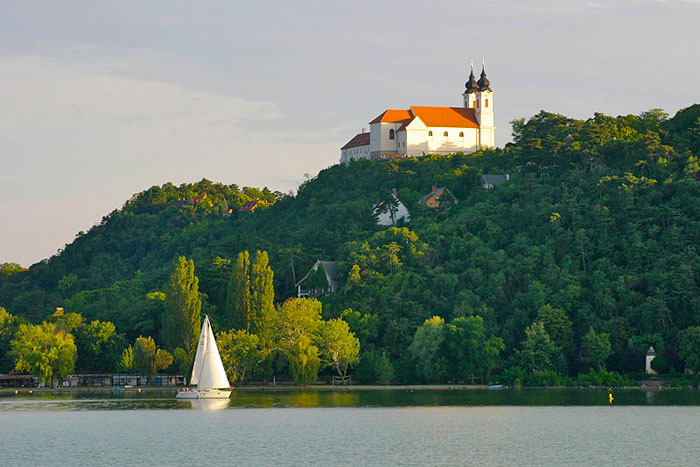 Balatonfelvidéki National Park is waiting for hikers and nature lovers while larger cities are preparing cultural programs, presenting historical monuments, organizing gastronomic festivals for the tourist season. Builders of adventure- centers and leaders of recent urban-planning projects took the special needs of disabled people into account so the significant part of the programs can be visited by wheelchair users, too. We offer accommodation in elegant and comfortable hotel for those who are not only attracted to lake-side holidays but wish to get acquainted with the natural, cultural, gastronomic and historical values and memories of the area. If you plan to spend your holiday at Lake Balaton with your children, or with friends, we do recommend you to choose the holiday center on the north part of the lake.